For anyone who ever wondered why it takes so long for films to get made, this is your answer. 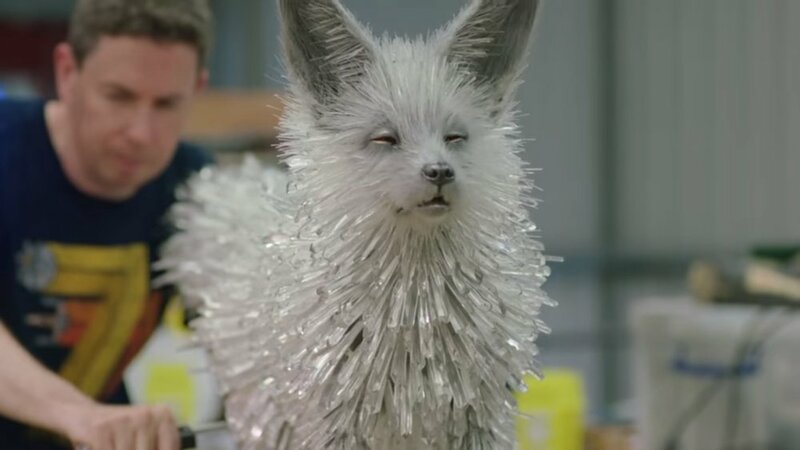 The "crystal fox" has been showcased in all of 10 seconds of Star Wars: The Last Jedi, and yet, look how much work goes into creating this crazy creature! Honestly, I'm a little disappointed the final version doesn't look as good as the animatronic puppet, but I guess the CGI version doesn't really look atll athat bad all things considered.